I love a great entrepreneurial story, but I especially love when it involves leaving behind a successful career to pursue a genuine passion. Sam Dogen, the mastermind behind the blog Financial Samurai, had worked on Wall Street for 13 years before his passion for blogging and other projects pushed him to want to leave his job. But he didn’t quit. He engineered a layoff that basically allowed him to get paid a six-figure sum in the form of a severance package. Even better, his blog has been a massive success, with plenty of room to grow. Sam, I’m a huge fan Financial Samurai and the community you’ve built. You’ve come a long way since your time in corporate America. How did you ultimately leave your job behind and make the transition into blogging and working for yourself? My journey began in 1999 when I joined Goldman Sachs in the equities department in New York City. It was a dream come true given I had been hooked on trading stocks since my junior year of college. Working on Wall Street was intense. The industry pushes you to your limits of endurance, patience, and problem solving. I always wanted to work until age 40, but I didn’t anticipate how fun blogging would be. Financial Samurai started in 2009 during the middle of the financial crisis to help me make sense of everything. It was as if I was building a support group to help my own melancholy. It turns out a ton of people felt troubled by the downturn, and a robust community of readers was born. By 2011, I started burning out from work after 12 years of doing the same thing. Working on Wall Street was no longer fun. We were Public Enemy No. 1, even though 99 percent of us had nothing to do with the housing crisis. I’ve always wanted to do something entrepreneurial since graduating from college, and I figured that if I could negotiate a severance package, I would take the leap of faith and focus on my online properties. It took a year of planning, but in spring 2012 I finally engineered my layoff. Thankfully, things have worked out fine since. Survival has been my greatest success so far. There have been tons of land mines since Google started aggressively updating its algorithms a few years ago, and I saw a ton of blogs disappear as a result. Sometimes it really feels like we’re dealing with a moody boss out there who can crush you one day or bring you glory the next day. Besides Google, it’s tough to keep consistently writing three or four 1,200- to 2,500-word posts a week. So many times I want to kick back and slack off for months on end given that I’ve already spent so many years saving and investing more than half of my after-tax income to generate a six-figure passive income stream. “What’s the point of trying so hard?” I often ask myself. One reason is that I publicly stated my goal to generate $200,000 a year in passive income five years after leaving my job. The main reason, though, is that I feel guilty for not maximizing opportunity and working hard every day, because millions of people around the world would kill for the opportunity. Growing up in developing countries really puts a number on you because you see so much poverty and suffering. America is almost like a cake walk compared to so many other places. I don’t want to take my luck for granted. I believe in small wins to keep motivation and hope alive. We all know that the odds are against us in everything we do, so to encourage myself and others to continue I created the Yakezie Challenge. It’s predicated on the Alexa ranking system. If a blogger can get to 200,000 or below within six months and develop a great rapport with at least 25 other bloggers in the network, they succeed! What’s happened is that far more bloggers have succeeded and kept going as a result. I’m proud to have started something to help motivate people to become better bloggers. Many have gone off to become full-time bloggers, work fewer hours, spend more time with their family, and travel because of the challenge. Blogging is a hobby that fills me with excitement every time I start writing a post. It’s gratifying to publish a finished product and watch it grow up in the internet or fail. From the monetization of content through the wine pairing strategy, to creating your own products, to getting featured in major media organizations, everything is so much fun. Just when you think you can’t grow more, you do. I never thought I’d break 100,000 pageviews a month until I did. I then thought there was no way I would break 250,000 pageviews a month, and then it happened. Now I’m thinking how could Financial Samurai possibly get to 500,000 a month, and I’m only 40,000 pageviews away now. You’ve done a fair amount of writing on how to break free of a traditional job, including how to engineer your own layoff (a topic for which you wrote a book). What are a few mistakes people typically make when they are trying to leave a job and venture into self-employment? The biggest mistake I see is people quitting their jobs and leaving tons of money on the table. It is every employer’s dream to have an employee quit because the employer then doesn’t have to pay for COBRA, unemployment, severance, and deferred compensation. Based on all my interviews with people who’ve quit or who want to engineer their layoff, the biggest reason why they quit is fear. Employees are afraid of talking to their bosses and HR personnel to find a better way. Employees feel it’s a David versus Goliath scenario with teams of lawyers ready to crush you for stepping out of line. I empower employees with knowledge so they no longer have to be afraid of negotiating a severance package to do something more meaningful with their lives. In fact, I’m partnering up with some of San Francisco’s most successful employment lawyers to have them provide my book as a value-added offering to their clients. I was able to negotiate a multiple-six-figure severance package equal to over six years’ worth of living expenses based on existing spending habits. With such a buffer, I was no longer afraid to leave my job of 11 years and travel around the world for 12 weeks a year and build my online business at the same time. 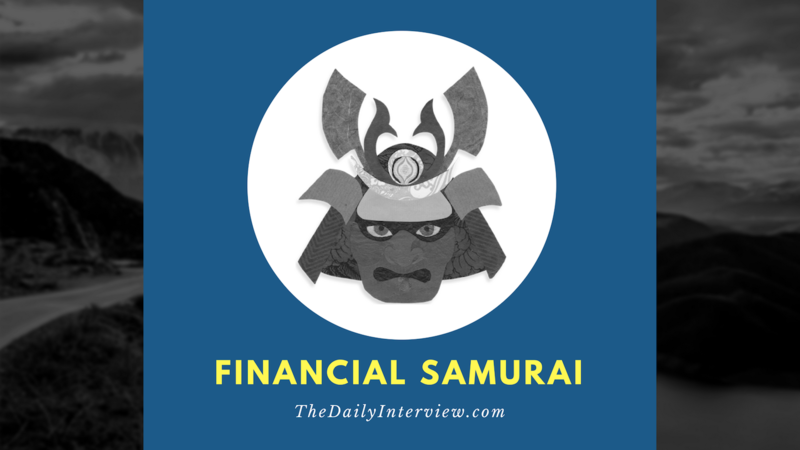 Partly due to the lack of stress about making money, I’ve been able to develop Financial Samurai much more naturally instead of filling the site with sponsored posts and product review posts. The book, How to Engineer Your Layoff: Make a Small Fortune by Saying Goodbye, has been a nice source of passive income to the tune of roughly $1,500 a month. I sell it for $85. I believe there is a huge opportunity to market the book more aggressively because there are so many books out there on how to get a job, how to get promoted, how to become a CEO, and so forth. But there is no book out there that teaches you how to profitably leave your job. The book has also helped me garner several personal finance consulting clients every month as well. This is bonus income that gives me that much more breathing room to never have to work at a job again if I don’t want to. None of the income would have happened if I didn’t put in the effort, so that’s quite rewarding. You’ve built a successful personal finance blog in a competitive niche. What do you attribute your success to? Certainly working hard and being persistent have something to do with it, but is there anything else you’ve done to really stand out? I think it’s important to “own” your content. It makes no sense to read a post about how to retire if the person writing the post is 28 years old and isn’t retired. The same thing goes for reading a post about how to make six figures if the post is written by a freelance journalist who is making less than $40,000 a year. There’s too much fantastic content on the internet to write fluff pieces filled with pontification. I encourage everyone to highlight three subjects where they think they have expertise, and focus on producing content demonstrating their expertise. Finally, it helps to be a big fan of blogging. 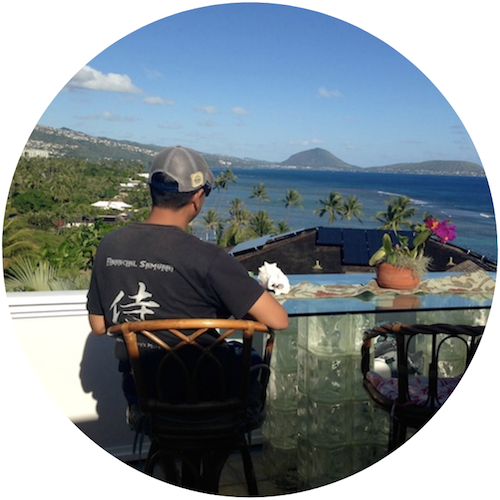 Before starting Financial Samurai, I was an avid blog reader and commenter. Even today, I still try to visit as many blogs as I can to interact with the author because it’s so much fun. I think that because I’m happy to write for free, which is exactly what I did for the first year, I’ve been able to write more naturally. If I do recommend a product, readers will have more trust in me because I do so very infrequently. You can certainly try to make money by writing soulless affiliate product review posts, but I think your readership will eventually burn out. Nor will you get much traffic from search because chances are high that your review posts are not unique. I’m not comfortable recommending products I don’t use. It’s much better to show users how you use them instead. What advice would you give to someone who wants to create a blog in a competitive niche today? When you first start out, you are nobody online, so you’ve got to give all you can. Always have the mindset of thinking how you can selflessly help someone else first. That’s the Yakezie Network motto. Of course, being selfless is extremely difficult to do, but it is something I think we should all strive for. Join a challenge like the Yakezie Challenge. Join a mastermind group. Go to your favorite sites and ask how you can help them. It’s worth trying to come up with truly unique content because practically everything has been said before. The 1/10th Rule for Car Buying is something that really took off, for example. Spending no more than 10 percent of your gross income on the value of a car is a simple but effective way to blow yourself up. The Total Income Tax to Total Savings ratio (TITTS ratio) is another fun idea I proposed; it gives readers a target for how much to save based on how much taxes they are paying. If you can invent new terminology and help people remember an easy way to save or make people more money in the personal finance space, I think you’ll do very well. I’ve used Personal Capital for years and recommend their free financial tools to my readers in order to track their net worth, make sure their investments are balanced, and minimize their portfolio management fees. Before Personal Capital, I had to log on to six different financial institutions to track 28 different accounts. Now I can see all my finances in one place and adjust positions accordingly. I’m such a fan of Personal Capital that I decided to work for them part time for three months. It’s been a blast helping them build out their blog and share my online marketing strategies with them. Most of all, it’s great to have some more human interaction again. Working from home definitely gets lonely after a while. I’m a big fan of Sam’s blog, and he’s stopped by ours on several occasions. Love his story! Thanks for the comment, Dave. And I agree, his blog is awesome. Always interesting. Sam is the man! Love your 1/10th rule for cars. Keep up the good work and educating us.